So when Linda Sue chose HOLE as the week word- there was lots I could think of. Like my jewellery- rings/chains/earrings are often a string of holes ... or this barnacle shell - one of my favourite treasures. I was so excited, I posted it on Wednesday. visit this post to find more and exciting holey things! your interpretation is great ... i like the textures. enjoy your weekend! The starfish is beautiful. I love little gifts from the sea. Hope we get to see the final results of your lace knitting. Sometime things that are full of holes are the best! All beautiful! That picture of the barnacle shell is fascinating. I have only ever seen them stuck to the rock, so not the inside. It reminds me of a coconut somehow. I like your interpretation. 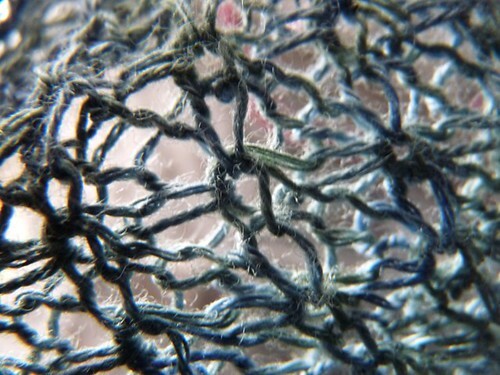 Often in knitting it is the holes that create the beauty of the pattern! Oh my! All of your choices for hole are gorgeous - the textures are marvellous! beautiful beautiful holes! from your last post, as well. i think it's fascinating what eyes are drawn to through the lens. 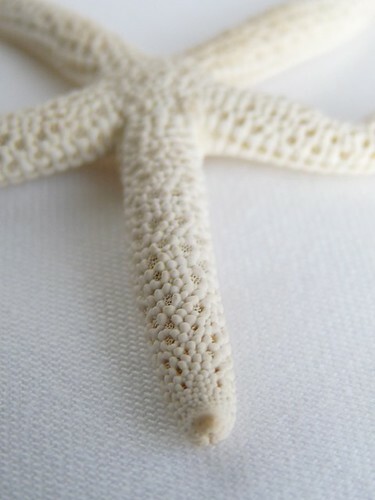 The starfish is so beautiful - I can see why it is one of your treasures. And the lace looks gorgeous, and intruiging! Sorry not to have been in touch recently x.